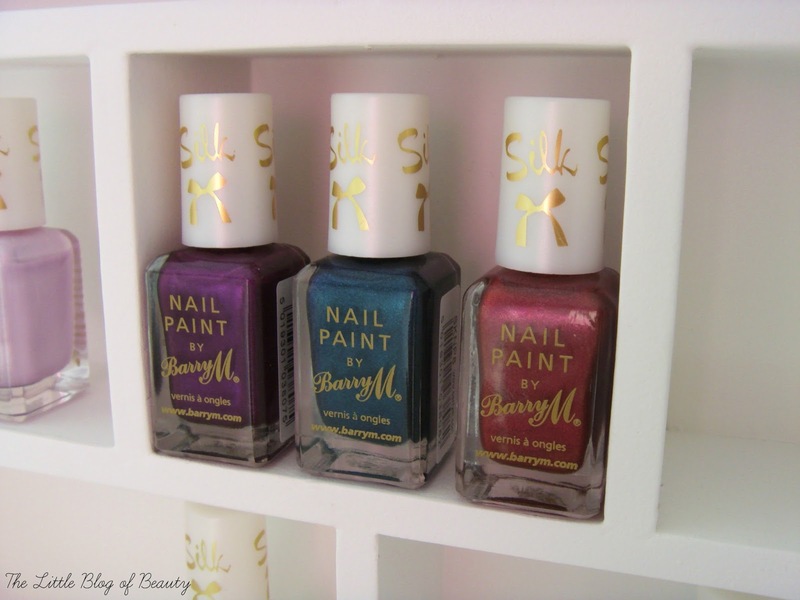 My first real introduction to Barry M was their Silk range that was released earlier this year. To begin with I bought Meadow to give the range a try and it wasn't long before I added a further three shades to my collection. I adore them and have got a lot of use out of them throughout the spring and summer, particularly the white shade Pearl as I often use this as a white base for nail art. 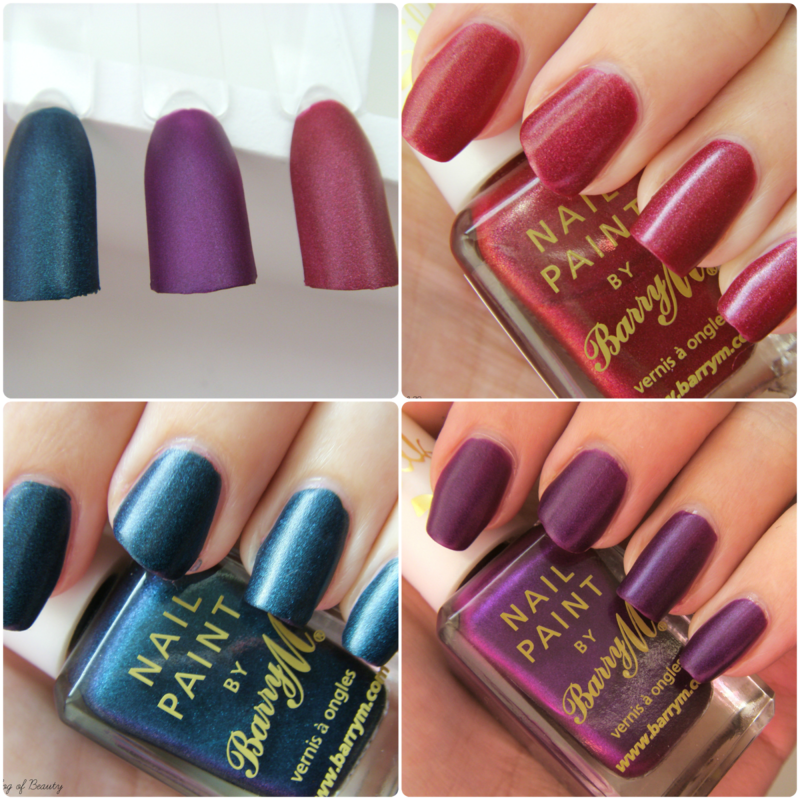 When I spotted on Twitter that Barry M had released three new A/W shades for the range I couldn't get out of the door quick enough. These were only available in Superdrug but have now also been released in Boots. Whereas the previous shades were very spring/summer appropriate pastels the autumn/winter shades are much deeper and darker. I described Forest as a turquoise shade on Instagram but only realised afterwards turquoise is a lighter blue/green, what I actually meant was teal. It's more of a blue shade but the shimmer creates flashes of green and also purple. Orchid is a Cadbury's purple shade (do people understand what I mean when I say that?) and has the least prominent shimmer of the three new shades and finally Poppy is a cranberry red with gold shimmer. The silk effect is achieved through the combination of shimmer and a semi-matte finish. They definitely aren't fully matte, as you can see from the reflection in my swatches, but they're far from glossy either. You could leave them as they are or you could matte them down fully with a matte top coat or make them glossy with a standard top coat. These are quite thin and you'll need two to three coats, I usually go for three but have only used two on each of the swatches above. These dry very quickly so I don't find that applying three coats takes up a lot of time. 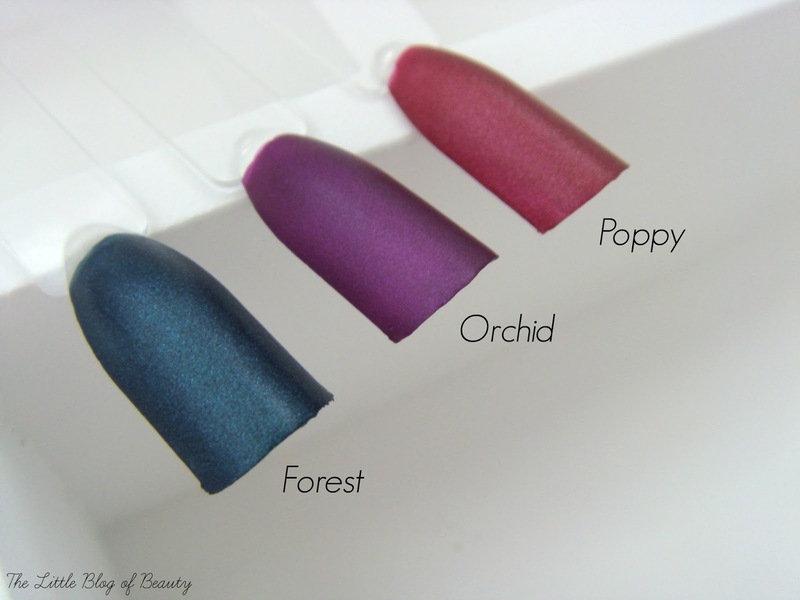 All three are gorgeous shades and I can see Forest and Poppy appearing in some Christmas nail art as they're perfect Christmas colours. 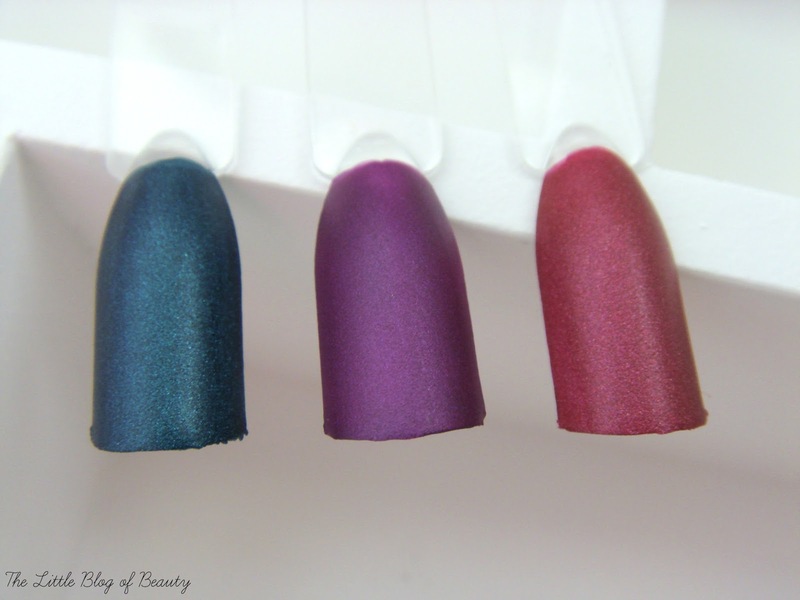 The three new Silk shades are available now in Superdrug and Boots and are £3.99 each. Will you be adding these to your nail varnish collection? I have a very light pink one from the silk range. It surprised me how much I actually really loved it.